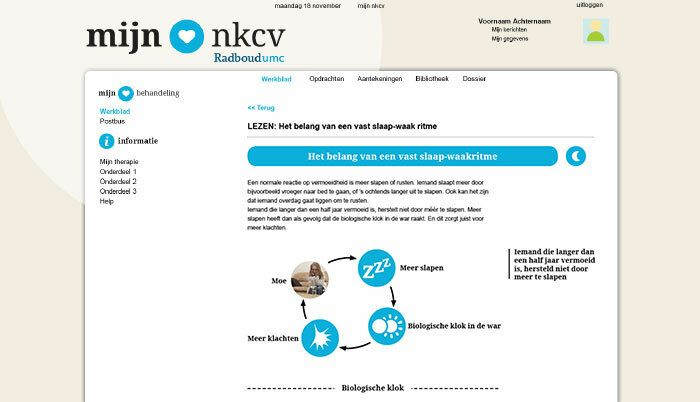 For the NKCV (Nijmeegs Kenniscentrum voor Chronische Vermoeidheid/ Chronic Fatigue Centre Nijmegen), I (re)designed their online cognitive behavioral therapies. 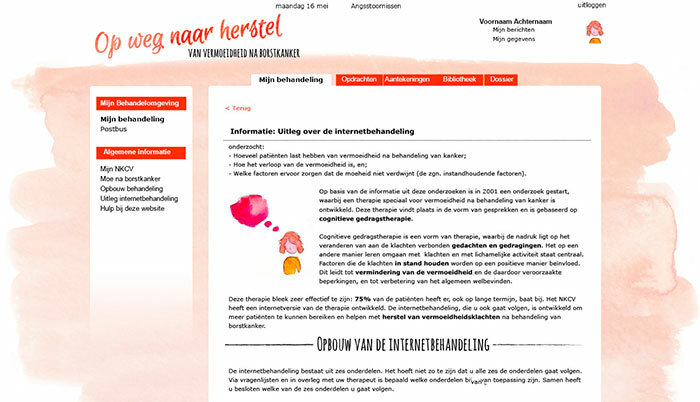 At the moment they have four therapies developed for specific audiences; Mijn NKCV the adult portal, FitNET the adolescent portal, DiaFit a portal for diabetics and Op weg naar herstel, a portal for breast cancer survivors. Each design addresses a specific audience. Based on the male to female ratio, age and the psychological impact. 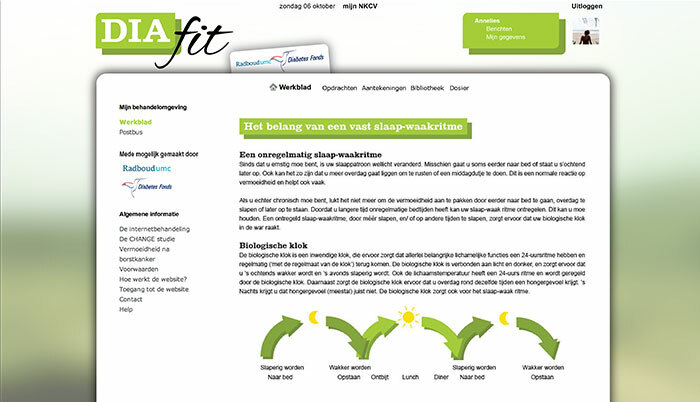 For example Op weg naar herstel needed to feel friendly and welcome, while Diafit was served by the feeling of energetic activation. My job was to design the look and feel for each of these portals, enrich the therapy text with illustrations and infographics and improve the interaction design of the portals. 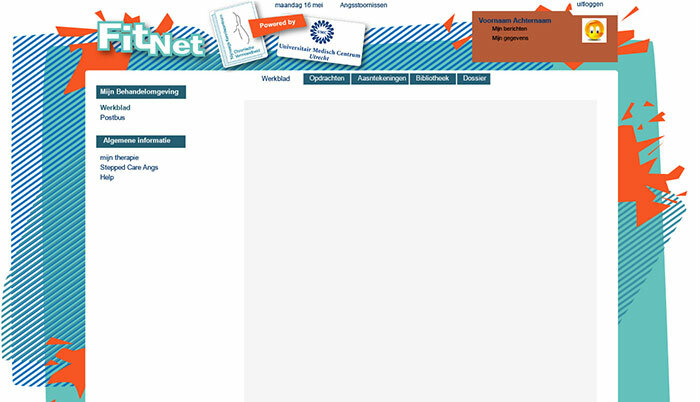 See Mijn NKCV, DiaFit and Op weg naar herstel for the illustrations and schemes.